During the federal government shutdown, members of the U.S. Coast Guard in Wisconsin are going to work but not getting paid. When Coast Guard Veteran Gsary Dorgay discovered the USO was accepting donations, he took action. "I said to my wife and daughter I said we're going to go down to the USO and hand over some gift cards for the families. Easy decision!" Dorgay said. USO Wisconsin is accepting gift cards and money for military families having a rough time paying bills while the government is shuttered. More than $8,000 in gift cards and money have been donated in only a few days. The Milwaukee Brewers donated $2,500 to the USO to help buy gift cards. 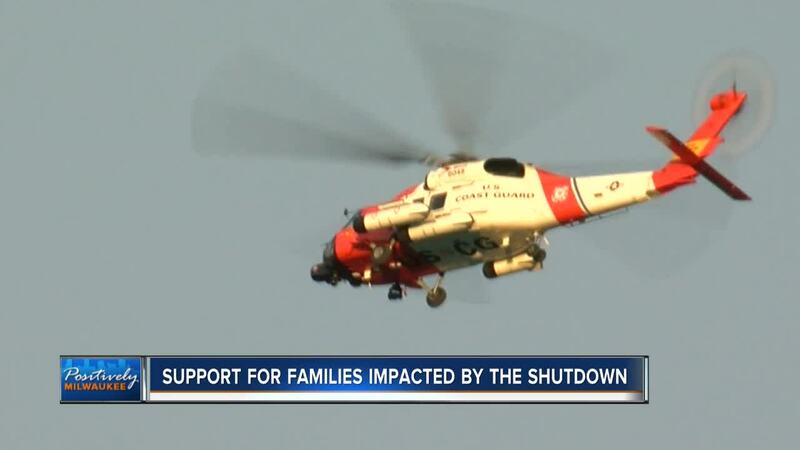 USO Executive Director Josh Sova said, "Our phones have been ringing off the hook from people who want to mail in gift cards or money to support the Coast Guard." Coast Guard members cannot accept money, but the military allows them to receive $20 a day in gift cards. Though they are not getting paid the Coast Guard must still show up for work. "It's an essential position. They have to be out there working. They can't call in sick, they can't take a vacation day. They have no other way to earn money," Sova said. "They're Coast Guard 24 hours a day. They don't usually have side jobs. This is their job. Whether they are out on search and rescue or doing aids and navigation, they're committed to being a Coast Guard person," Dorgay said. And the generous people in our area have once again proven their support for the military men and women who devote their lives to keeping us safe. "Every part of the community has really come around. Whether it's a veteran or somebody who doesn't know anybody in the military, they understand the value of the Coast Guardsmen and they want to help in some way." Dorgay who served in the Coast Guard from 1967-1973 says simply, "Military people, the men and women are heroes," Sova said.